You can define the number of days after which the review request email will be sent. By default, your request review emails will be sent out 14 days after product purchase, but you can customize this according to the time it takes to deliver your products. To change your email timing, simply head over to the "Email timing" field on the "Review request email" section of your app settings and change it to whatever timing suits you best. The timing can be set up to 70 days after a customer's purchase, after your fulfillment of a customer's order, or based on the delivery of the product. Please note: when your email timing is set to schedule emails after fulfillment, review request emails will be scheduled for an order only when its status is changed to "Fulfilled" – if an order is not fulfilled, a review request email will not be scheduled for that order. 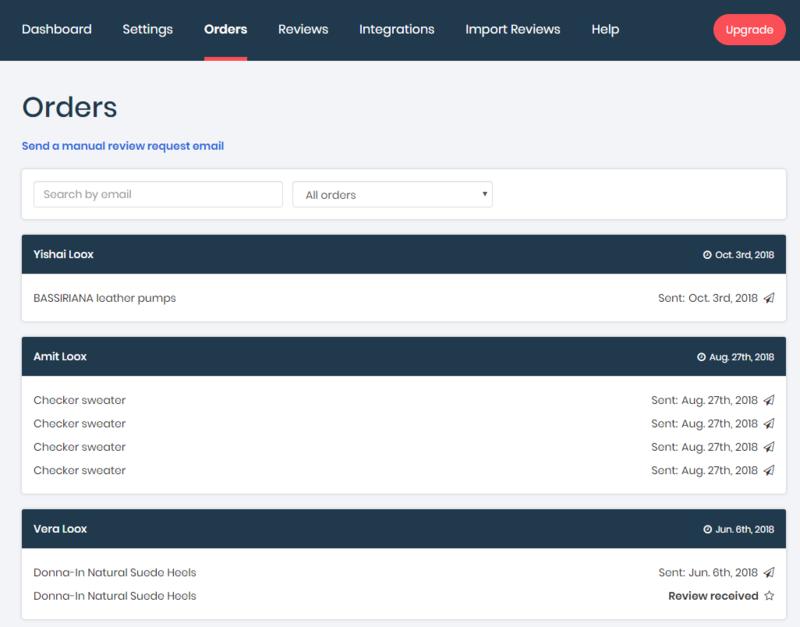 You can check your email schedule by heading over to the "Orders" tab in your Loox dashboard. Note: review request emails to past customers are marked with a [bonus] tag.